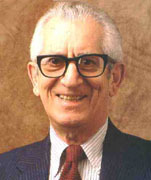 PROFESSOR Benjamin Bloom of Chicago University and co-workers that met from 1948 to 1953, devised a stairway with six steps, six learning levels. The six steps (read: levels) are rough estimates. They are not absolute, nor do they include learning of confluent symbols as a possible step above evaluation, provided such imagery rests on and builds on fit evaluations and estimates. The ability to observe is not included in this model either. Observational skills can be fostered or trained to your advantage. Relaxation and even boredom should help it. Also know that other systems or hierarchies have been devised. But Bloom's taxonomy is easily understood and widely applied. As you learn lessons well, the higher stages of learning want a part of the play. There should be enough time for that to happen, for higher levels of learning have to do with brilliance and getting well (enough) educated. The first step of the stairway of learning is memory, good, solid recall. If you don't remember for some time, you haven't learned for long. Thus, it helps learning to have a good memory. It may be developed to some degree. The first step in the staircase of knowledge and learning, then, is adequate memory, or recall. There are many books written on how to get the most of it withing sound limits (Jf. Higbe). Also, recall is eased by adequate study methods. Tony Buzan's BOST is one of such design or scheme. (Buzan 2010). Genuine interest is one more factor that goes along with memory and good recall, even unaided. If those cues - (1) genuineness first; (2) aids to more proficient study and corresponding recall; (3) genuine interests - are brought into some or several flexible systems to aid learning, and well adapted for many sorts of learning arenas, "the better recall, the more knowledge is retained, and the easier or more favourable schooling" - it tends to be like that. Thus, things we are told, or shown, or experience first-hand, may or may not be remembered. This level of learning allows for further, more high-levelled learning in time, if interest is there and nothing blocks the way, or process of appropriation. Thirst for learning can be built through nature-contact and evoked interest. It may be compared to a chain-reaction too, in that one single, learnt item leads to more explorations or contacts, and those who explore have fun. Babies often delight in exploring things, if it is reasonably safe - many parents know. Delight in learning with its "being in the flow" or "in the zone" (cf. Gross 1999) is fostered by contacts that may be good for you. Looking at a butterfly may evoke so much interest in some that they become eager, and go step by step into vaster fields of botany, for example. In contrast to chain-reactions from good contacts, there is the much strained motivation - outer-directed and often artificial - in some school settings, especially in older times, when pupils tried to cram out of fear of punishment. Not good! Good recall provides a basis for what Bloom and his colleages call knowledge, which forms the first step up from the foundation (memory), to higher levels of thinking. Knowledge or recall of data, expresses the natural urge to recall previously learned material. So knowledge, or what is retained after being told, having seen, read or experienced otherwise, is quite a foundation for very much learning. Comprehension, the ability to grasp meaning, explain, restate ideas, means understanding the basic information and translating, interpreting, and extrapolating it. Synthesis suggests the ability to put together separate ideas to form new wholes of a fabric, or establish new relationships. Synthesis involves putting together ideas and knowledge in a new and unique form. This is where innovations truly take place. Evaluation is the highest level in this arrangement. Here the ability to judge the worth of material against stated criteria will show itself. Evaluation involves reviewing and asserting evidence, facts, and ideas, then making appropriate statements and judgements. Isn't it telling how American educators managed to ignore this anciently had seventh step when they furnished their staircase? But there is a softening side to that non-doing: Benjamin Bloom and his colleages neither went the foundation (memory) nor the seventh step of terse or figurative summaries. Their prime concern was merely how to evaluate output in school systems, where formal teaching tends to rule, and the six steps covers most of the really prosaic or pedestrian output there. Furthermore, it often happens that the process of reaching higher levels of learning in the staircase stagnates, for example on the level of just being instructed, on a level of rote learning, massive cramming for exams. Cognitive: Thinking, getting, evaluating and synthesizing information. Psychomotor: Physical and perceptual activities and skills. Very often insight rises atop of feelings. Dreams may be interpreted and understood in such a light, for example. Thus feeling may feed insights. Many renowned scientists and artists have had massive inspiration from their dreams. "Let us learn to dream, gentlemen, then perhaps we shall find the truth," said the Nobel prizeman August Kekulé. 2. The cognitive domain (of thought), see above. Interestingly, manual skills may be the crown of achievements that cognitive skills lead into. And once hard-won dexterity or manual ability is learnt, it is often automated, like learning to swim, ride bikes. So manual skills may be major achievements on top of the two others. It depends in part on how you look at it. Elliot W. Eisner's text that the excerpts that follow are taken from, may be found in Prospects: the quarterly review of comparative education (Vol 30, no. 3, Unesco, Paris, September 2000. Sentences have been shuffled and some of them changed a bit (as noted) to be able to stand on their own legs as aphorisms or keynotes. NOTE: The Taxonomy of learning is shown graphically above. COMMENT: Taxonomy of learning is one help, mastery learning another. Speed is one expression or performance of learning. However, good learning also needs time to reflect and find out things. The two deep needs of students may or may not be balanced in a school system. There are increasingly subtle and complex educational levels to master as we develop cognitively. Speed is one expression or performance of learning. Finding out is another. Both are needed, and may complement one another and still other performances of learning. Fit procedures of education is rooted in what students learn, over and above how instructions are performed. And evaluations need to consider the levels of artistry and understanding far better, since much public education favours rote learning too much in comparison. There are better attainments. One should also consider the rather great waste of human resources and money that takes place where teaching instructions are paramount, and not proper learning and proper development of the person and individuality and realization of legitimate, innate interests. Public education may become a long-run tragedy or misery for most part, for reasons linked to these hints. See for yourself. Recognise it may be easier to be an Essentialist than an Existentialist: It is a shorter word, easier to say, at any rate. Essentialism as a philosophical theory ascribes ultimate reality to essence embodied in things that can be perceived by the mind-and-senses. As an educational theory, Essentialism holds that ideas and skills that are basic to a culture should be taught to all alike by time-tested methods provided they are good or good enough. Hardly, so one had better remain open to outcomes of good research and theory as it blooms as well. The wise man takes from old supplies and adds what appears to be non-maddening new ones as fits in. The blend could be eclectic - based on selections of what appears to be best in various doctrines, methods, or styles, and composed of elements drawn from various sources, as the case may be. If you do not enjoy a pleasant and successful learning experience or want to make the job more manageable, here are tips on what to do about it - not in detail, but "higher up", quite generalised. What is called Mastery Learning, ML, was initiated in 1963 by John B. Carroll. Mastery learning is fit for both individual study and group study, provided that realistic standards be developed, as Bloom suggests. His model, using group instructional techniques, varies both instruction and time to meet individual needs. It has been said that ninety percent of a learning population can master a subject when mastery learning methods are implemented. We can develop effective mastery learning methods when we determine how the learning and teaching process relate to the individual differences in learners. Mastery learning rests on "Take your time", that is, take the time you need to learn something well. Time to learn must be adjusted to fit aptitude. No student is to proceed to new material until basic prerequisite material is mastered. Bloom, Block, and Carroll believe that mastery learning can be handled in a normal classroom. Bloom suggests a pre-test and review at the beginning of a semester of the essential, basic facts, skills, concepts that are necessary to later success. And a the end of an instructional unit - every two weeks - a test to find out what has been learned and not been learned may work well, and next remedy errors and blanks - whatever - by re-teaching in order to foster or ensure excellence, at best, after a diagnostic tests. For it helps to know exactly what to do to correct non-mastered points of difficulty. In such ways every student may end up with an "A" if they master the material. Mastery learning 85% in top 10% vs. 45% in conventional. Time on task: For mastery learning 85%. For conventional instruction: 45%. Mastery learning fits mathematics and language learning, but also episodic subjects like history. Mastery learners should have specific learning procedures to follow. Tutors that work with mastery learners should be trained in mastery learning methodologies. Mastery learners should be provided with opportunities to participate in group study. Alternative learning materials should be available to mastery learners. Mastery learners must feel that they are evaluated by their performance. Diagnostics for mastery learners must prescribe specific processes for the learner to overcome difficult tasks. It helps to use the available time well, adjusting one's pace to very good learning routines. They can be taught and learnt. Modern schooling uses "hurry up" much of the time instead. Those that are quick to learn, are favoured by modern schooling. Those who need or prefer more time on the data to be learnt, are not. The fact is that very much education leaves inadequate time for overlearning, memorisations, repetitions, and all the other levels of learning than merely "being informed". Lack of depth could be a result of modern schooling, where few have the capacity to ponder and consider their appointed lessons deep enough and long enough to make key elements enter the Long Term Memory, LTM. This process is not so quick in any case. Good work in the field of learning well, can take hours, days, and weeks of carefully schemed repetitions, it has been shown. Another grave defect of shallow, quick learning is here: Only a few months after an exam, most of the content is forgotten. What remains cannot be relied on unaided, and most may not be recalled or retrieved if unaided, either. This is all too common, and suggests how failure-yielding methods have been put into common practice. It also suggests waste of time, effort, and money too. Few seem to be willing to diverge from the common failure-giving ways in education. Interesting, isn't it? Different students do not learn at the same pace. Those who prefer a slower pace may end up just as good at recalling items as quick learners. It is very much a matter of study methods, really. Slow learners can improve their odds in a competitive school setting by adjusting their major efforts to how learning works, and how to make as good use of the valuable study hours as well-nigh possible. For example, when studies indicate that learning (recall) is best helped when about fifty minutes out of sixty are spent on memorization, time should be spent accordingly. What matters is to spend time enough in a pleasant way, mostly. If not that is within reach, then learning should focus on relaxed ways and focus on technicalities of learning, until skills are built up. That often helps and increases motivation as a by-product. Joy of learning can come by learning in a fundamentally positive way from the start. In mastery learning the cause of a student's failure is said to rest with the instructions or methods used, and not a lack of ability on the part of the student. The challenge is to provide enough time and use suitable instructional strategies so that most students can achieve the same level of learning (Bloom 1981). Testing how far final learning critierions are met. Research has shown that mastery learning can improve instructional effectiveness. Still, people do differ in ability, and not all differences can be made up for by key elements of mastery learning - maybe only 95% of them. The question that often arises is where to take the time from, the time needed for proper mastery learning programs. They tend to require much time and effort that many, many teachers and schools are neither prepared nor willing to expend in the long run. When you want to adapt elements of mastery learning, you give regular, corrective feedback on student progress and procedures. Mastery learning programs further require clear instructional objectives. In Bloom's Learning for Mastery (LFM) program, the teacher is instructed to develop brief tests used for formative evaluation about the student's progress. Grading is preferably non-competitive, and ideally, all but a few students should achieve the predetermined level of mastery. In Keller's Personalized System of Instruction (PSI) students proceed through a set of written curriculum materials at their own pace. After initially attempting to complete the unit's material, a student takes the unit mastery test, given by a "proctor" (who may be the teacher, a teacher's aide, or a more advanced student or classmate). If the student passes the test, he or she advances to the next unit. Otherwise, the student uses the unit correctives to restudy the unmastered material. The cycle continues until the student demonstrates mastery on one form of the unit's test. Grading is non-competitive, as it is in LFM [Learning for Mastery] programs [by Bloom and with later variations by others]. (1) The PSI method could actually result in increased variability in mastery because the fast learners are not delayed in their progress by the slower learners, as they are to some degree in traditional, one-dimensional classrooms. (2) An advantage of the PSI method is that fast learners can create a highly challenging and highly motivating educational program, and they are spared the boredom that can result from having to go over material they have already mastered. Mastery learning programs such as LFM and PSI have been implemented in schools throughout the world and their effects on motivation and learning have been extensively evaluated. Evaluations suggest that mastery learning programs have positive effects on student attitudes and achievement, particularly for weaker students . . ., although disputed among reviewers. Most of the mastery learning programs that have been studied appear to have some positive effects on achievements, although observers have noted that if left on their own, [outer-directed] students procrastinate and consequently make little progress. Notwithstanding these limitations, these well-tested programs provide teachers with models of evaluation that are based on a mastery standard. Bloom, Benjamin: All Our Children Learning. McGraw-Hill. New York, 1981. Bloom, Benjamin, et al. Taxonomy of Educational Objectives: The Classification of Educational Goals. New York: McKay, 1956. Buzan, Tony. The Memory Book: How to remember anything you want. Harlow: BBC Active / Person, 2010. Gross, Ronald. Peak Learning: A Master Course in Learning How to Learn. Rev. ed. New York: J. Tarcher/Putnam, 1999. Herrigel, Eugen. Zen in the Art of Archery.. New York: Vintage Books, 1989. Higbee, Kenneth. Your Memory, How It Works And How to Improve It. 2nd rev. ed. Philadelphia, PA: Da Capo Press, 2001. Rystad. Jarand. "Alt glemt på grunn av ubrukeleg eksamensform? En empirisk undersøkelse av Matematikk 2 eksamen ved NTH. (All forgotten because of an unfit form of exam? An empirical investigation of Maths 2 at NTH)" In UNIPED No. 2-3, 1993:29-50. Schunk, Dale. Learning Theories. An Educational Perspective. 6th ed. Boston, MA: Pearson Education. Stipek, Deborah. Motivation to Learn: Integrating Theory and Practice. 4th ed. Boston: Allyn and Bacon, 2002.